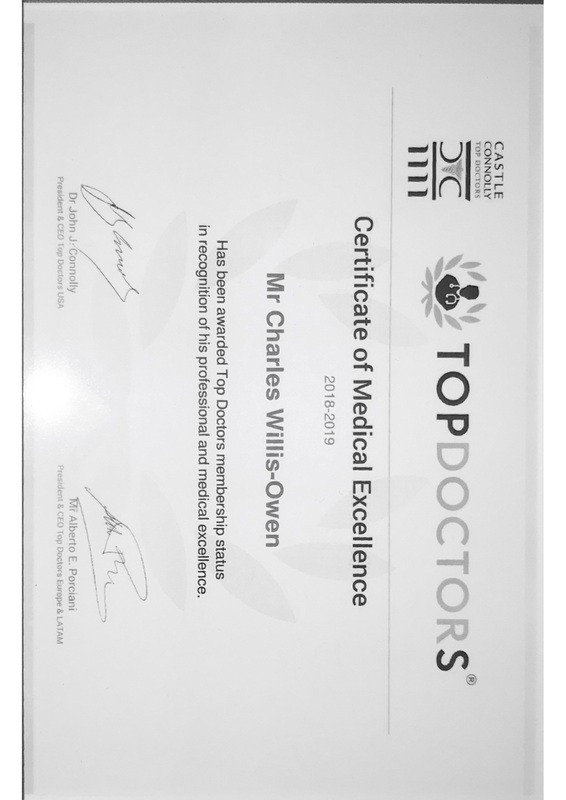 This month Charles was invited to join the prestigious TopDoctors Panel. To date Charles is the first consultant outside of London, to receive this accolade. He had to pass a four-step screening process, including nominations from other leading clinicians, independent auditing by the Adecco Medical and Science physician-led research team, endorsement by a clinical leader who is a specialist in their field and finally, a face-to-face interview. The Top Doctors only features the top five to 10 per cent of medics internationally who have been identified as good doctors. Charles is absolutely delighted to have his hard work for his patients recognised.